These pages list our core facilities by areas of focus. 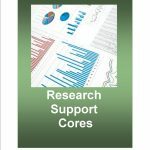 These are brief profiles of the cores; to find more detailed information on each core, including location, contact information, and equipment lists, please check out their facility overview in their listing in our searchable database. UNC provides a full spectrum of genomics based services. From multiple microarray platforms, multiple high throughput sequencing systems, real time PCR and in situ hybridization support, UNC has a highly skilled core facility that can meet most needs. Functional Genomics Core performs expression profiling and SNP genotyping (Affymetrix) services. We currently have Beckman Coulter’s Biomek® FXP Target Prep Express robot and the GeneTitan Instrument from Affymetrix which allow the processing of hundreds of microarray samples in a week, and processing of high throughput expression peg arrays and Axiom genotyping high throughput peg arrays. Also, we have the Affymetrix GeneChip® Scanner 3000 7G Plus Targeted Genotyping System in the Core. It has the ability to scan all research arrays manufactured by Affymetrix including the high density expression arrays which place an entire genome on one GeneChip®. This equipment includes 2 Fluidics Station 450s and the GeneChip® Hybidization Oven 645. 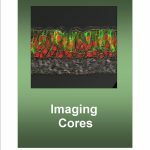 Mammalian Genotyping Core provides services using any of the Illumina microarrays (BeadChips) for genotyping, CNV analysis, or DNA methylation. The Vironomics Core facilitates research at UNC by performing large-scale real time quantitative PCR reactions, amplicon generation, and ~200-400bp next generation sequencing. This is accomplished using Roche 454 GS Junior, Ion Torrent PGM, Ion Torrent S5, companion Ion Torrent Chef, and robot-assisted PCR in 96 and 384 well format. The Vironomics Core currently provides several real-time qPCR arrays for viruses and miRNAs profiling including: KSHV, EBV, HSV1 and HSV2, RRV, HCMV, NFkappaB, Pre-miRNA, and P53response12. The unique automated robotics also enables the Vironomics Core to offer custom and commercial real-time PCR assays to clients. The Vironomics Core uses several automated robotics for the large-scale real-time PCR. A Tecan Freedom Evo© is used to set up reactions in a 384-well plate, which is then run by the Roche Lightcycler 480 II©. This is a fast and effective way to amplify samples with RT-qPCR. The High-Throughput Sequencing Facility applies the tools of high throughput sequencing technology to enrich cancer research of UNC scientists. High throughput sequencing is an extremely fast developing technology, used in many applications such as genome sequencing, genome re-sequencing, chip-seq, cDNA sequencing, digital expression, and microRNA abundance. The HTSF is a full-service sequencing facility that offers multiple platforms and several different state-of-the-art techniques to assist with genetic and genomic research. These platforms available include: Illumina’s MiSeq, HiSeq2500 and HiSeq 4000, Ion Proton and PacBio RSII. Genomic sequenced-based applications include: complete genome re-sequencing including for comprehensive polymorphism and mutation discovery in individual genomes; targeted genomic re-sequencing including for targeted polymorphism and mutation discovery; ChIP-seq (Chromatin immunoprecipitation-sequencing) for genome-wide mapping of protein-DNA interactions; small RNA sequencing; transcriptome sequencing for quantification of gene expression and alternative splicing, transcript annotation, and discovery of transcribed SNPs or somatic mutations; sequencing of bisulfite-treated DNA for the determination of the presence of methylated DNA; and metagenomic sequencing. The HTSF uses several automated robotic platforms for large-scale library preparation to ensure the reproducibility and quality of library preps. The new HTSF Research & Development group will work with investigators to develop new applications for high-throughput sequencing and providing opportunities for testing library prep kits in a beta stage of development and evaluating new sequencing or genome mapping technologies. The Vironomics Core performs next generation sequencing using Roche 454 GS Junior (450 bp read length) and by performing large-scale real time quantitative PCR reactions (please see expression analysis section). The Roche 454 GS Junior sequencing is not limited to any application, but is dependent of staff availability and client required training. UNC Microbiome Core Facility provides the research community within the UNC School of Medicine and the state of North Carolina with the facilities and expertise to characterize complex microbial communities in a variety of environments. 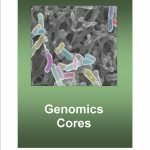 The Microbiome Core offers comprehensive services for microbiome analysis that include experimental design, isolation of nucleic acids (DNA/RNA), barcoding, library preparation and sequencing using the appropriate Illumina or Life Sciences platform, and bioinformatics analysis. 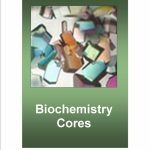 Other services offered by the Core include: quantitative and digital PCR, creation of clone libraries, strain typing, optimization of bacterial culture conditions, and high-throughput liquid handling (PCR reaction set up, sample pooling, picogreen quantification of nucleic acids). The RNAi Screening Facility provides the technology for the UNC scientific community to perform cell based screens and define the contribution of each gene in the human genome to specific phenotypes. RNAi mediated inhibition of gene expression is a powerful method for identifying genes and their cognate phenotype, whose loss of expression alters the cell phenotype. The RNAi HTS Facility manages a human genomic siRNA library from Dharmacon, composed of ~84,500 siRNAs targeting 21,125 genes (Ref Seq database v5.0-8.0). The facility will provide free-of-charge, the human genome siRNA library, perform the robotic spotting of the library in 384 well microplates, guidance in screen development, support of instrumentation for screen development and implementation of primary and secondary screens. Equipment in the facility includes a Biomek FX for formatting & spotting microplates, BMG Pherastar FS multifunctional plate reader, BioTek liquid drop system (2), Cellomics high-content screening microscope, tissue culture hood and incubators (2), tissue culture microscope, and the ScreenAble software package that provides a high performance toolkit for tracking and analyzing biological screening in microtiter plates. The Human Pluripotent Stem Cell Core Facility provides UNC scientists and outside collaborators with services to successfully conduct basic as well as translational research using human embryonic stem (hES) cells and human induced pluripotent stem (hiPS) cells. Cell derivation and characterization services: Generation and characterization of hiPS cells from fibroblast, blood cells and other custom cell types using integration-free methods. 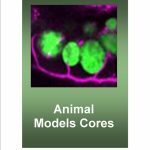 Differentiation of hES and hiPS cells to neural progenitor cells, mature neurons, cardiomyocytes, hepatocytes, mesenchymal stem cells, osteoblasts, adipocytes and endothelial cells. Genome editing of mammalian cells: consultation and full service in the design, construction and testing of TALEN/CRISPR vectors for gene knock-out and knock-in. TALEN/CRISPR-mediated point mutation introduction and/or repair to create isogenic cell lines and custom targeting vectors to be used in combination with TALEN or CRISPRs for tagging endogenous genes with fluorescent proteins. Gene regulation services; the core offers full service including design, construction and testing gene of regulation in any mammalian cell type of artificial gene regulator composed of ZFP, TALENs CRISPR/Cas9 coupled with activators, repressors or chromatin remodeling enzymes. UNC Vector Core delivers the highest quality AAV vectors (research grade only) to academic, government, foundation, and biotech industry clients. The Lenti-shRNA and Lenti-cDNA Core Facility is premised on three libraries: a human cDNA library in lentiviral vector to over express human genes (under the control of a CMV promoter) and two Open Biosystems’ TRC1 shRNA libraries (to knockdown either mouse or human genes). The shRNA libraries are cataloged as single lentiviral-vector shRNA expression clones directed to ~16,000 human and mouse genes. Each gene is targeted by 4-5 different shRNAs driven by the U6 promoter. Furthermore, control vectors bearing scrambled shRNAs or shRNAs directed against GFP are available. Please note that the shRNAs’ knockdown efficiency has not been validated. The shRNA core provides lentiviral shRNA vectors in the form of glycerol bacterial stocks or vector particle preparations (~10mL). The shRNA core also provides consulting in designing and optimizing shRNA-encoding lentiviral vectors. 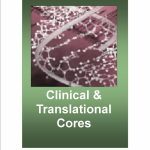 Upon request, the core can also provide alternate platforms for shRNA delivery, employing a variety of promoters and other cis elements to improve shRNA expression.